It's time for another Fabulous Finds Friday! This week has seemed to go by pretty slowly and felt so long, it's hard to believe it's finally Friday. For this week's FFF I found a really cool accessory. 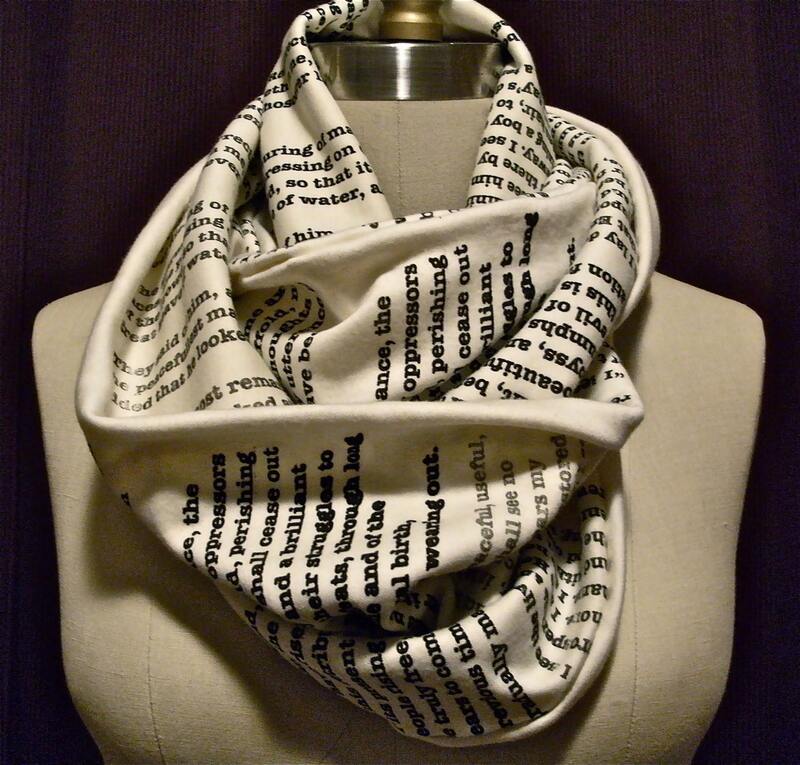 A while ago I saw a cool link on Pinterest about a book quote scarf where pages of book quotes are printed onto infinity scarves that look like cowls. They are just the neatest things, and they're sold at an online shop on Etsy. The link to the shop is below if you want to check it out. I don't have one, but I wouldn't mind wearing the Pride and Prejudice one. The scarf in the picture below has quotes from A Tale of Two Cities by Charles Dickens. Books and scarves are two of my favorite things. I'm going to check these out right now!